Organizations that receive charitable donations are subject to some special federal tax rules. Charitable organizations may need to provide information to the Internal Revenue Service for some non-cash contributions. 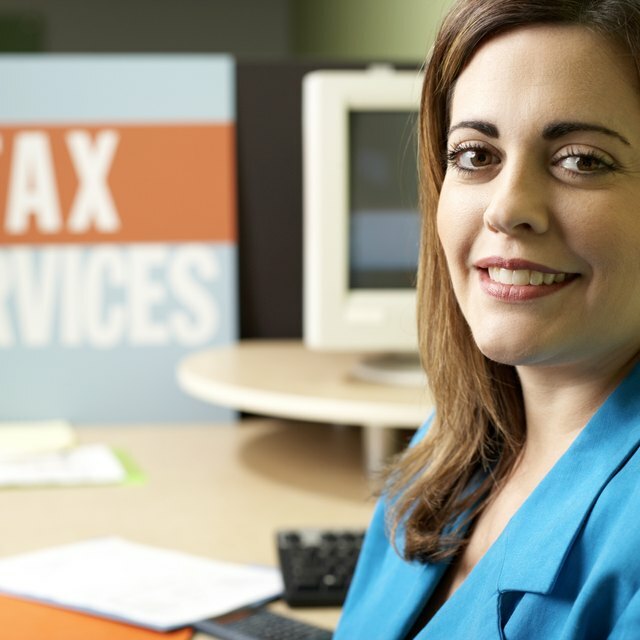 Under one condition, the organization is required to file IRS Form 8282. This form is necessary when the organization sells, exchanges or disposes of the property within three years. The form is not required if the property is valued at less than $500 or if the property is distributed for another charitable purpose. When Form 8282 rules apply, it must be filed within 125 days of the disposition of the property. Download and print IRS Form 8282 from the IRS website (see Resources). Complete the “Identifying Information” portion of Form 8282. This includes the name of the charitable organization, the Employer Identification Number and address. Complete Section 1 of Part I of the form by providing the name of the original donor of the property, the original donor’s Social Security number, EIN and the donor’s address. How Do I Accept Donations on a Pending 501c3? Complete Section 2 of Part I if the owner is giving the property to another charity. You must include the name of the receiving charity organization and the organization’s EIN and address. Complete Part II only if there were charitable organizations that received the same property prior to your charitable organization receiving it. For example, a church bus might be donated to a religious charity organization and then to another religious charity organization and later to a Boy Scout Troop. The Scout Troop would be required to list under Part II each of the previous charitable organizations to possess the property. Section II requires the name of the original owner, the EIN and the address. Write a description of the property under Section A of Part III and answer the accompanying questions. One question asks whether the disposition of the property involved the organization’s entire interest in the property or only a portion of its interest. The second question asks whether the use of the property was related the organization’s exempt purpose or function. Provide an explanation on how the property’s use was for the organization’s exempt purpose or function if you answered in the affirmative to the second question on Part III. Report the date on which the organization received the property and the date on which the original owner received the property. If the current organization is the original owner, these dates will be the same. Report the date on which the property was sold, exchanged or disposed of and the amount received upon disposition. In some cases, this would be the sale price. Sign and date the certification on Part IV if you reported in Part III that the property was used for an exempt purpose or function before the disposition of the property. Provide any successor owner with the name, address and EIN and with a copy of the Form 8282. The latter must be provided to the new holder of the property no later than 15 days after you file Form 8282. When the value of the property is in doubt, it is best to file Form 8282. That leaves nothing to chance should the IRS declare that the property was more valuable than the charity believed. The IRS can penalize a charitable organization for failing to file Form 8282.